The same is true for home applications. If you enjoy woodworking or other past times that could be dangerous, you need to properly equip yourself to be protect. But if you don’t know exactly how to do that, you could put yourself in harm’s way. Consider the benefits of safety eyewear. Whether you operate heavy machinery or handle any type of chemicals, your eyes should be safe and out of harm’s way. And yet, 60% of workplace eye injuries occur because the injured professional did not believe the right safety item to protect their sight was required. That problem gets especially significant if and when you need prescription glasses. Now, it’s tempting to wear your regular glasses for clear vision, which is a natural need in a safety context. But that shouldn’t be your only consideration. In addition, you also have to make sure that the material and makeup of the eyewear you choose holds up to your environment. That’s where polycarbonate prescription lenses enter the equation. As a material, polycarbonate is made for safety equipment. It’s a thermoplastic, meaning that it’s created through a heating and cooling process that bonds the chemical compounds together. Because of this process, the material is uniquely suited for safety applications. It possesses extremely significant impact resistant, while blocking 99.9% of all potentially harmful UV rays. Its creation process also means that this material is not sensitive to heat. Even working in extreme temperatures will not negatively affect its impact and success in keeping your eyes safe. As brands first began to manufacture artificial glass made of polycarbonate, their benefits were immediately obvious. The clarity combined with its strength and impact resistance meant that its first applications were used for the canopies covering the cockpits in fighter planes. In the 1970s, NASA began using it for the windshields of its space shuttle as well as the helmet visors of astronauts. It’s difficult to find more effective ways of testing the strength and durability of safety glasses than outer space. With that real-life product test out of the way, polycarbonate was first made available to consumers about 10 years after its first flight with NASA. Today, it’s perhaps the single most well-known material to use in safety equipment, while also functioning as a popular choice for children’s glasses. Most safety eyewear shies away from glass because it shatters easily. Regular plastic is a good alternative, but may not be strong enough to stand up against flying debris. Making matters worse, stronger prescription require very thick and heavy glasses that are uncomfortable to wear. That’s where polycarbonate enters the equation. The impact resistance and strength mentioned above do not exist in isolation. Instead, they are especially significant when compared to more traditional lens material. Compared to glass and simple plastic, polycarbonate is about 10 times more impact resistant. The safety benefit of that resistance should be immediately obvious. It means that you have to worry much less about flying wood or metal debris. With the right frames and coating (more on that below), your eyes will be safe behind what is essentially bulletproof glass. Other benefits are just as significant for your eyesight and safety. Consider, for instance, the fact that these glasses are much thinner than plastic alternatives for strong prescriptions. That means you will be able to not only see more clearly, but can also make your safety glasses more comfortable. Put simply, you minimize the potential of taking them off for convenience and putting your eyes at risk. And naturally, it doesn’t end there. The near 100% UV light block rate means that you don’t have to worry about harmful rays as you work in dangerous conditions. To be sure, most brands and manufacturer offer this protection as a coating. But if it’s integral to the lens itself, you don’t have to pay extra or worry about forgetting to add the coating as you buy your new pair of glasses. Finally, consider the durability of this type of lens. Because you don’t have to replace them nearly as often, you tend to safe significant money in the long run. And of course, it means making sure that you don’t go without glasses for a while because one pair breaks and you’re still waiting for the next pair to arrive. In short, the benefits of polycarbonate prescription lenses have very tangible safety implications. A close understanding of them can help you make the right choice in protecting your eyes regardless of the conditions in which you work. Read the above paragraphs, and you might think that polycarbonate prescription safety lenses are beyond reproach. While they are, in many ways, the best option for safety equipment, that is not necessarily true. You do have to honestly consider their disadvantages as well. Fortunately, if you do, you can make decisions that allow you to minimize these disadvantages for the sake of your safety. For example, while this material is largely shatterproof, it is not necessarily scratch resistant. If you don’t know that fact, you risk getting a pair of glasses that scratches quickly from flying debris and will need replace before long. In that case, the added price compared to simple glass or plastic becomes even more significant. But if you do know about this potential disadvantage, you can act quickly and before you even purchase your glasses. Adding an anti-scratch coating is possible for most safety eyewear and equipment merchants. In fact, some lenses even come standard with this coating. Ask the vendor whether that’s the case for you to make sure you don’t fall victim to a quick scratch in your lens. Another potential disadvantage is the above-mentioned higher cost. The disadvantage lies in the fact that you might shy away from these lenses altogether because you don’t want to spend as much. Here, it’s best to think long-term. Once you understand that this pair of glasses will last you much longer than alternatives, the slightly higher price will be well worth your investment for long-term budget savings. Finally, don’t make the mistake of assuming that your lens is the only thing you need to consider as you purchase safety eyewear. Especially if you need a prescription, it’s an undeniably crucial part. But it’s not the only variable. 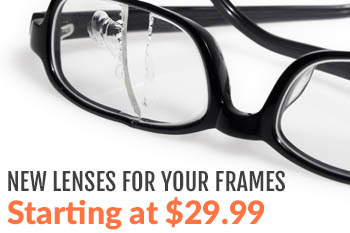 Your frame should also match your safety needs. Look for specific safety frames. If you don’t, putting polycarbonate lenses into non-approved frames can actually be dangerous and cause them to shatter or fall out. Instead, consider your exact work, and find a frame that matches your needs while being approved for safety applications. No lens material is perfect. Polycarbonate options come close, but even they have some disadvantages to consider. That’s why you have to be strategic about the type of lens you want and need to protect your eyes in dangerous situations. Fortunately, with the right decisions as outlined above, you can overcome these disadvantages and maximize your protection in the long run. With a thorough consideration of the pros and cons of polycarbonate safety lenses out of the way, you still have to find the right pair for your need. That starts, above all, with a new prescription. Put simply, you don’t want to make a significant investment in this lens material without making sure that the glasses you get will actually help you see clearly. Next, closely consider the situation in which you will wear these glasses. 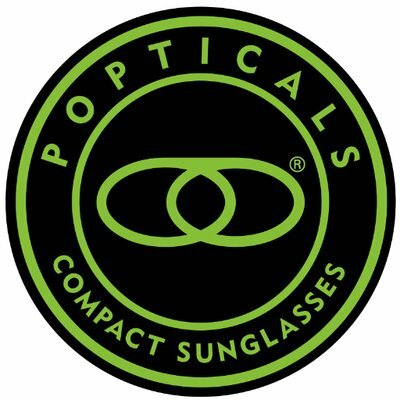 That environment could significantly impact which lenses and frames work best for your needs. When in doubt, talk to your supervisor about company-approved resources to help you find safety equipment that includes and protects your eyesight. Finally, it’s crucial to find the right merchant for your needs. Especially when you buy polycarbonate lenses online, you don’t want to fall victim to a scam or a merchant that is simply not credible enough to actually sell you the right material or shoddy quality. Look for testimonials and independent reviews to make sure that you don’t, instead ensuring that any merchant you buy from is credible and can actually deliver what you need. When in doubt, check the warranty and returns policy to get insurance that you can easily return the glasses if they don’t function well. We want to help you find the right glasses. Polycarbonate lenses are especially beneficial in prescription contexts, but only if you choose the right option for your needs. Our inventory and expert advice can help you get there. 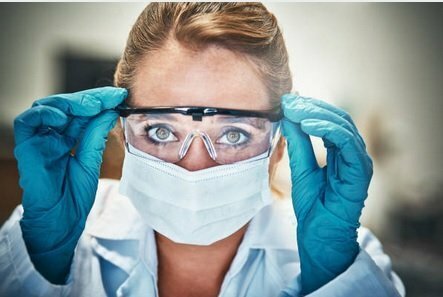 Contact us today to learn more about the process, and to make sure that your eyes will always be safe and protected at work.